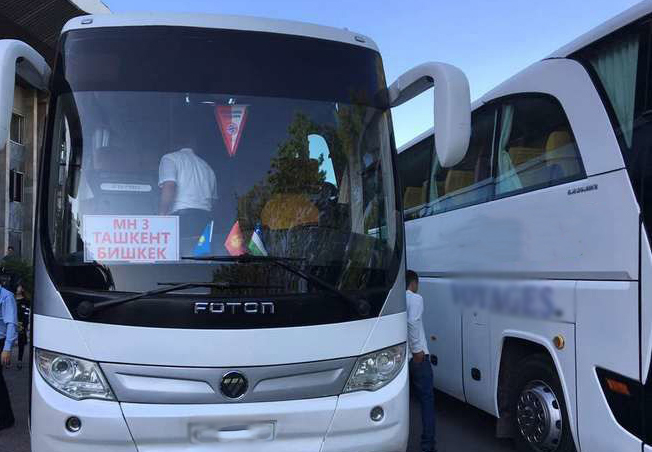 The international bus route Tashkent-Bishkek-Tashkent has been resumed, press service of the Uzbek Agency for Road Transport (transformed into the Ministry of Transport) reported. The schedule, drawn up on the basis of tripartite agreements, was signed on February 4 by the Transport Committee of the Ministry of Infrastructure and Development of Kazakhstan. Departure time of buses from the Bishkek bus station is set at 09:00, 16:50 and 23:30. Departure time from the Tashkent bus station remained unchanged – buses leave at 09:00, 18:00 and 22:00, the agency explained. It should be recalled that in January, Kazakhstan temporarily suspended the transit passage of buses along the international route “Tashkent – Bishkek – Tashkent” without consent of the competent authorities of Kyrgyzstan and Uzbekistan. The Kazakh side explained this as the process of coordinating the new timetable.